RF 80 concentrated hair strengthening formula treats sudden hair loss, which often affects women and can be linked to stress, pregnancy, unbalanced diet, or medication. 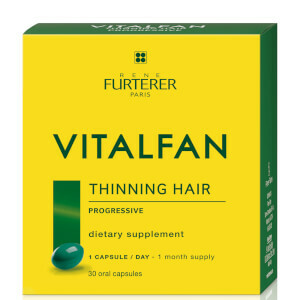 It encourages stronger hair growth and improves the hair structure for thicker and faster growing hair. Provides Vitamins A, B5 and F for nutritional benefits. Treats vascular hair loss with Pfaffia Extract. Use once a week for twelve weeks as needed (i.e. following pregnancy or stressful times). Carefully snap ampoule in a paper towel and place applicator tip on vial. Massage fluid onto a clean scalp. Do not rinse and proceed with styling as usual. Water (aqua), Butylene Glycol, SD Alcohol 39C (Alcohol Denat), Pfaffia Paniculata Extract (Pfaffia Paniculata), Benzyl Alcohol, Hydrolyzed Vegetable Protein, Arginine, Biotin, Citral, Citrus Medica Limonium (Lemon) Peel Oil (Citrus Limonum), Copper PCA, Limonene, Methionine, Niacinamide, Panthenol, Phenoxyethanol, PPG 1 PEG-9 Lauryl Glycol Ether, Salvia Officinalis Oil (Sage), Yellow 10 (CI 47005), Zinc Gluconate. It's a third time i use this product and just love it. 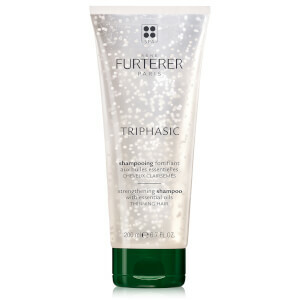 It's very easy to apply , has a pleasant fragnance, doesn't weighs hair down. 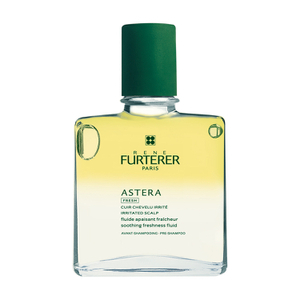 I style my hair as usual.My hair looks healthier and hair loss reduced significantly.Rene Furterer is the best product (i tried shampoo, oils,masks, styling products) i ever had for my hair.